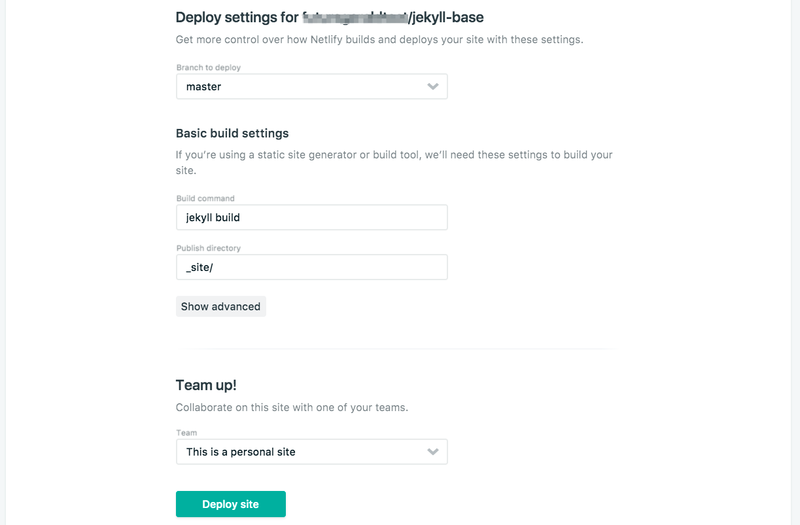 Today, we’re going to look at how to host a project built with Jekyll on Netlify, including setting up continuous deployment. Let’s start from scratch. If you already have a Jekyll site set up, you can skip straight to Connecting to Netlify. This guide assumes you have Ruby and RubyGems installed. Like what you see? Great, let’s move on. 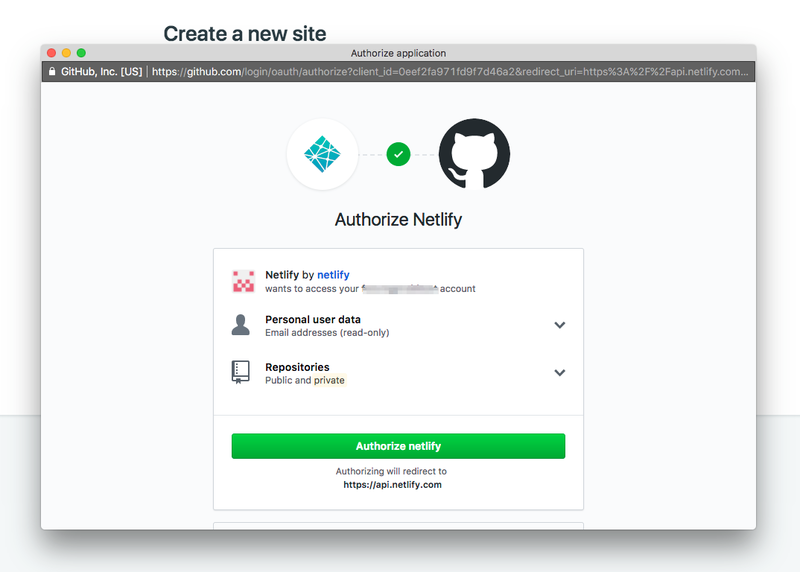 There’s a few things you need to do before pushing your project to GitHub to make sure that your new site will play nicely with Netlify. Make sure you delete the #, then save. This will install the jekyll gem and create a file called Gemfile.lock. This file will ensure that Netlify always uses the same version of Jekyll that you used to build your site, thus avoiding any nasty surprises. Finally, open .gitignore in your favorite text editor, and make sure that it includes _site on one of the lines. With that done, you are ready to push to GitHub. For our purposes, let’s call your new repo “jekyll”. Creating a new site on Netlify is simple. Once you’ve logged in, you’ll be taken to https://app.netlify.com/. When you push to GitHub (or GitLab or BitBucket), Netlify does all the work. No more manual deploying of updates or changes! 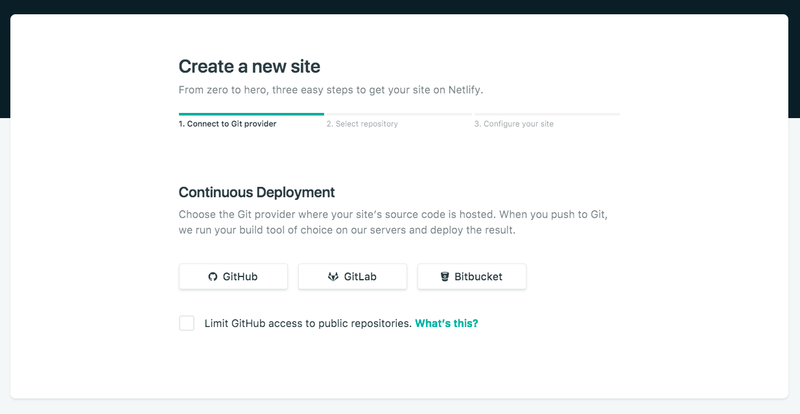 Since your assets are hosted on your Git provider, you’ll need to link Netlify to that provider. Click “Link to (your provider)”. It’s time to allow Netlify and GitHub to talk to each other. Clicking the “Authorize Application” button will do just that. Like it says in the image below, Netlify doesn’t store your GitHub access token on our servers. If you’d like to know more about the permissions Netlify requests and why we need them, you can visit https://www.netlify.com/docs/github-permissions/. Now that you’ve connected Netlify and GitHub, you can see a list of your Git repos. There’s the “jekyll” repo you just pushed to GitHub. Let’s select it.